Assuming the intake and combustion conditions are more or less equal, the same mass of stuff will leave the exhaust valve. So I'd expect a rather small change of density, instead pressure will rise with temperature. So it might be possible that the rise of pressure may override the increase of viscosity, I might have a look at the formulas later. Such enhanced counterpressure might be advantageous for some rpm conditions but usually one likes to reduce counterpressure at a four stroke best as possible although some compromise may be very helpful for reasonable carb adjustment over rpms. I share the concerns to reduce cooling (by covering header surfaces and thicken the tubes in front of the engine fins) at an airhead engine. So like pods again something that makes sense for racing applications if you know what you do, but nothing to provide improvement in a simple way in any case. Did you have to get new jets when you installed your pod filters? Yes I had to put in bigger slow and main jets. I mention the size in my build post which is reachable through my signature below. Just as a relevant sidebar, another one of the reasons a lot of bikes have trouble with pods is not directly due to pods but due to insufficient modification of the carb set up. The small holes in the emulsion tube ( A.K.A. 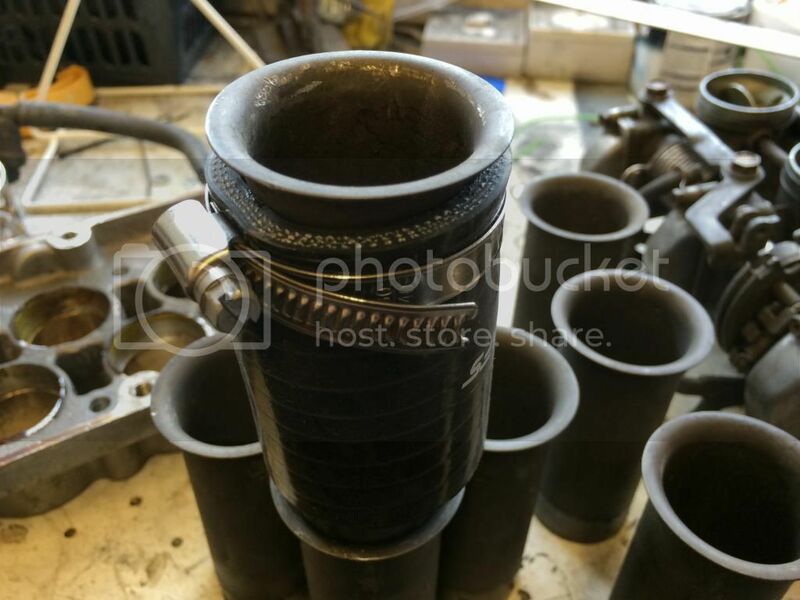 main jet holder ) are designed to help atomize the air/fuel mixture by bleeding air into the fuel flow. It also serves to "froth up" the mixture, so the entire fuel supply doesn't drop back down the jet during off-throttle times, such as reaching a corner apex. The frothing up allows some fuel to stay near the top of the fuel feed (picture frothed up milk hanging onto the straw). This allows quicker throttle pick-up with less hesitation because some fuel is still readily available. More inportant, though, is the role the air bleeds serve at higher speeds. The air bleed was designed primarily to deal with the squared relationship of air velocity and air pressure. Air pressure drops as a square of the velocity: if air speed doubles, the air pressure drops by a square of the air speed. In other words, double the air speed and air pressure drops 4x. What this means for a carburetor is that since air pressure decreases at a faster rate than the air speed increases, too much fuel will be delivered, resulting in a too-rich mixture at high engine speeds. The role of the air bleed is to supply enough additional air at higher speeds to offset this relationship, in order to lean out the air/fuel mixture. The air flow delivered to the main fuel jet is designed specifically for that particular fuel jet's size and design parameters. 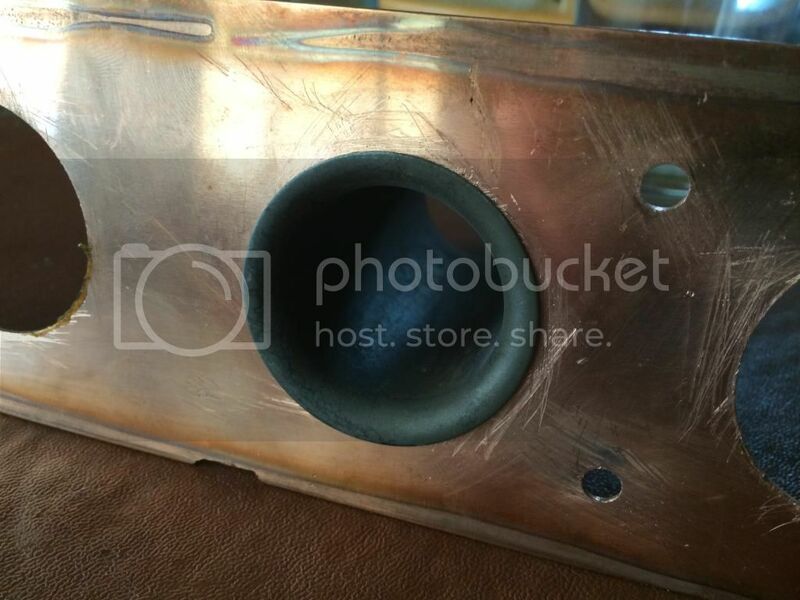 When you install over- size main jets, you have to hope that the air bleed delivery device (be it an actual, threaded air jet or a simple drilled passageway) has the capacity to supply enough air to the emulsion tube to handle the extra fuel that the larger jet will theoretically pull; If not, you will be right back to the situation the carb designers originally worked to solve: an overly-rich mixture at higher speeds. When you start swapping out main fuel jets, you are changing the bike's fuel slope, which requires additional trial and error experimentation with the main air jet size and/or design. So, a long-winded reminder that the fuel jets are only half the story; the correct air supply volume is also a critical component of a properly running bike. 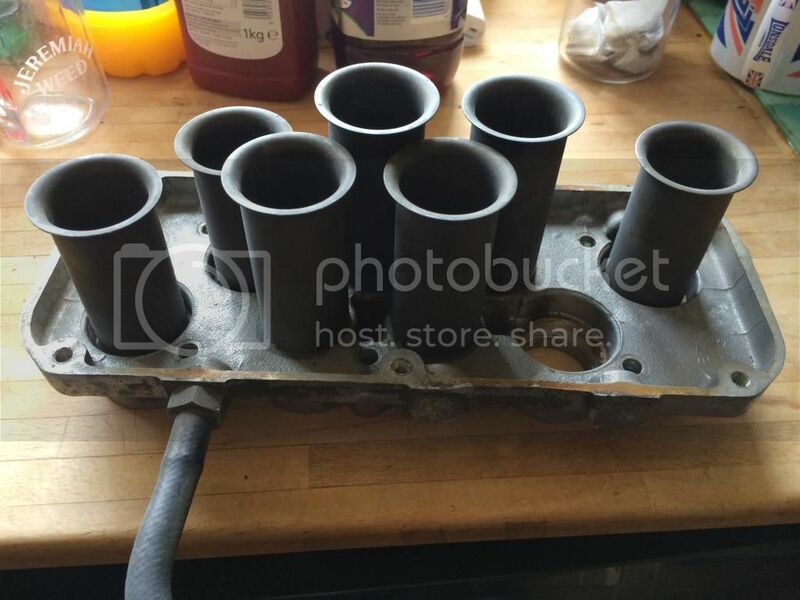 So after reading the various posts on the forum, I've been re-designing my copper filter, the hardest part is finding the right velocity stacks that match the carb inlets (and smooth out the airflow) I also wanted a better way of securing the air-cleaner to the carbs as the pod filter rubbers are not up to the task. In summary, in certain situations pods can be beneficial but overall, for street riding, they cause more problems than they cure. Pods look cool, they make carb removal and install much easier, but they are inferior to a well-designed air box. The manufacturers in the 70s and 80s weren't stupid, their marketing departments knew even back then that people loved the look of pods and if they could have fitted the bikes with pods without adversely affecting performance and ridability, they would have; they didn't because an airbox serves several important roles that pods can never handle. 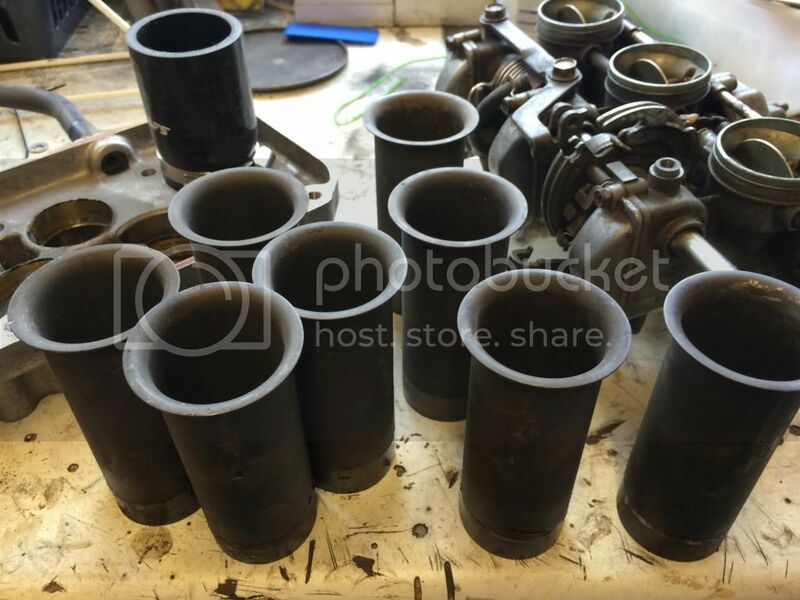 super post.I had a 80 modelsuzuki gs 1000.The guy had thrown the stock airbox away,had pod filters on it.Jetting is really a trial and error.heavy on the error part.That bike ran great, but the hose clamps holding each filter on came loose a lot.The airbox is perfect for all the reasons you posted here.